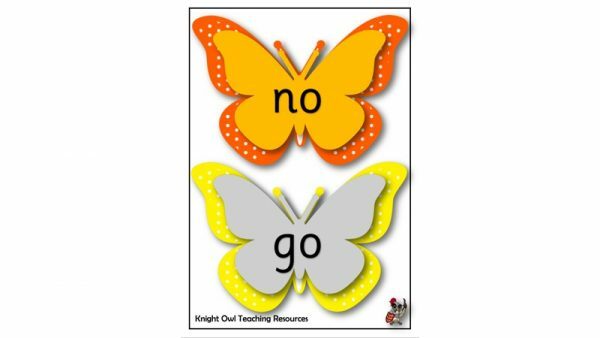 Colourful butterflies with Phase 2 Tricky Words for display or as flashcards (Sassoon script). Colourful butterflies with Phase 2 Tricky Words for display or as flashcards. 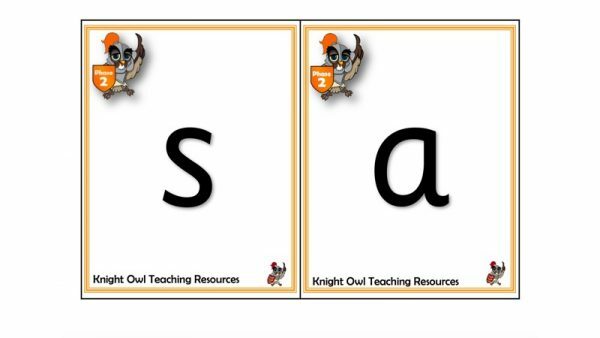 Practise reading a set of words containing the ‘ai’ grapheme. 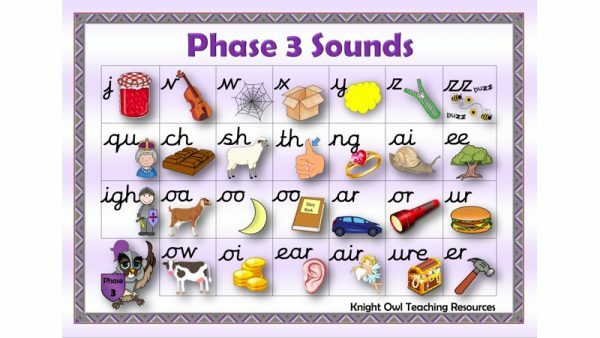 Practise reading a set of words containing the ‘air’ grapheme. Practise reading a set of words containing the ‘ear’ grapheme. 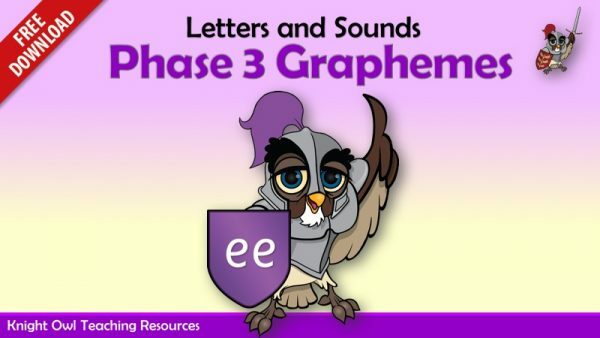 Practise reading a set of words containing the ‘er’ grapheme. 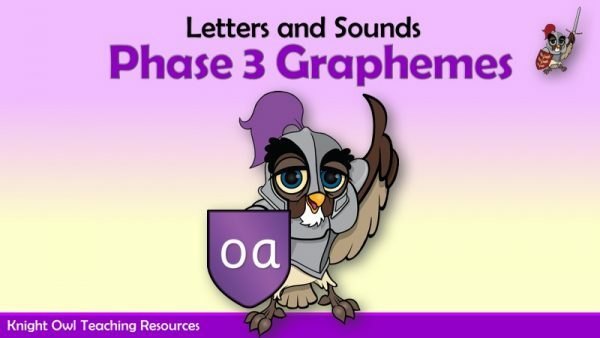 Practise reading a set of words containing the ‘oa’ grapheme. Practise reading a set of words containing the ‘oi‘ grapheme. Practise reading a set of words containing the ‘ow’ grapheme. Practise reading a set of words containing the ‘ure’ grapheme. Reading a set of words displayed on rabbits containing Phase 3 graphemes. 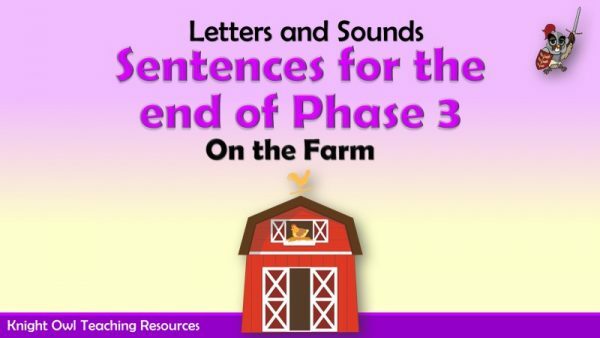 On the Farm – A short story for the children to read together. 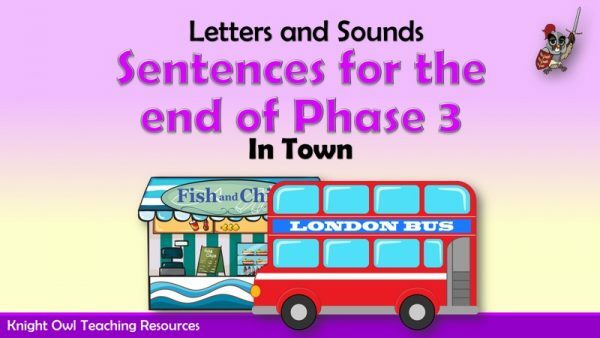 In Town – a short story for the children to read together containing Phase 3 graphemes. 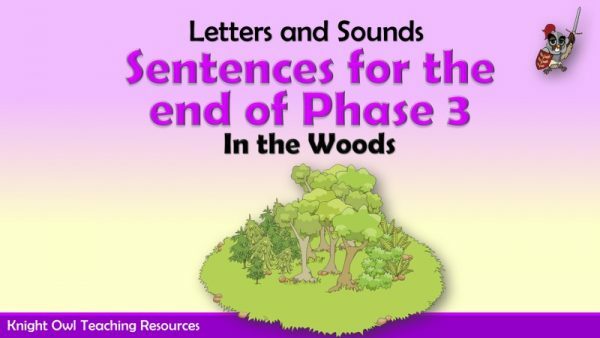 In the Woods – a short story for the children to read together. 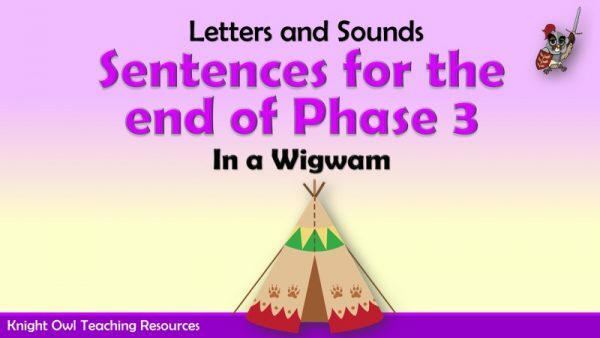 In a Wigwam – a short story for the children to read together. 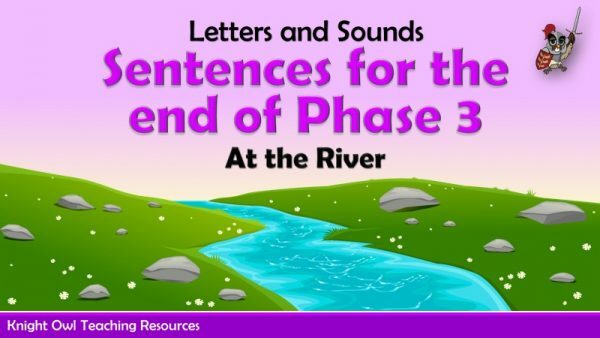 At the River – a short story for the children to read together. 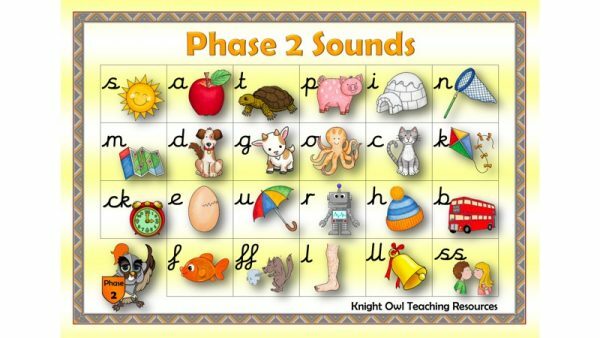 A set of penguins with the Phase 3 phonemes to encourage quick recall. Various animals holding whiteboards with Phase 3 captions. Children holding boards with ‘yes/no questions’ containing sets 1 -6 GPCs. Children holding boards with ‘yes/no questions’ for the end of Phase 3 (Set 3). Children holding boards with ‘yes/no questions’ for the end of Phase 3 (Set 4). Animals holding boards with words using Phase 3 graphemes (Set 1 ). 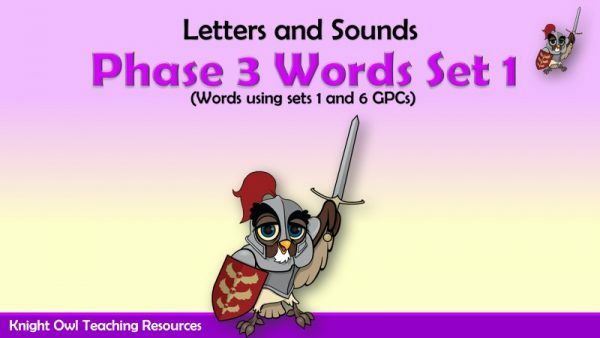 Animals holding boards with words using Phase 3 graphemes (Set 2 ). Animals holding boards with words using Phase 3 graphemes (Set 3 ).